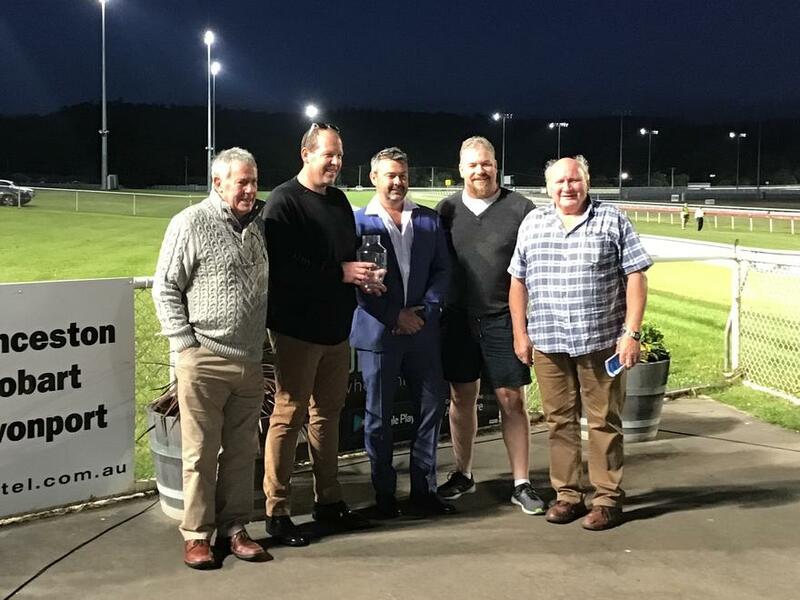 PREMIER trainer Scott Brunton declared the sky could be the limit for his promising three-year-old The Inevitable after the gelding scored an impressive win in the $50,000 3YO Cup over 1200 metres in Launceston on Wednesday night. The Inevitable ($3.30) was given the run of the race by rider Siggy Carr who had the gelded son of Dundeel settled one-out on the back of the favourite Gee Gee Secondover ($1.75) and when the rider called on him to extend, he powered to the line to score by almost two lengths from the favourite with Gee Gee Wynette battling on well for third ahead of Ravage. “I’ve had an opinion of this horse for some time and tonight is just a stepping stone to better races later in the season,” Brunton said. “Depending on how he comes through this race we will more than likely go to the 3YO Trophy and then on to the Tasmanian Guineas early in the new year. The Inevitable was purchased for $100,000 by David Brunton at the 2017 Adelaide Magic Millions Yearling Sale with shares sold to a number of the Brunton stable stalwarts. Gee Gee Secondover raced outside of the leader Gee Gee Wynette and they both travelled well to the home turn while The Inevitable was playing a stalking role three lengths astern. Carr found it difficult to find adequate superlatives to describe the ease with which the son of Dundeel strolled past the favourite. “That was amazing!” Carr said. “I had him in the right spot and I just didn’t want the favourite to be off and gone before I had my horse wound up. Brunton said he plans to aim The Inevitable at the Tasmanian Guineas and then on to the Tasmanian Derby but those plans won’t be placed in stone until after the gelding contests the 3YO Trophy in Hobart. Gee Gee Secondover was game in defeat and while he was kept busy sharing the lead to the home turn he was beaten fair and squarely by a potential star.